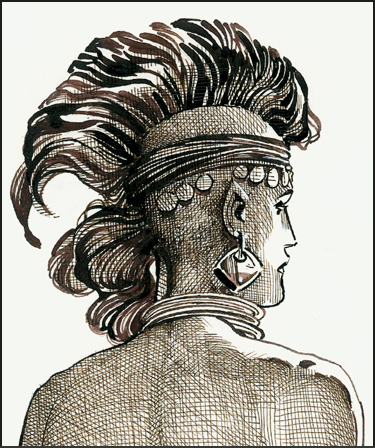 Barry Windsor-Smith works in a fairy-tale village, a little slice of Colonial heaven, in a bright yellow building with red shutters. It is so bucolic one can almost forget the huge globs of wet icy snow and freezing January temperatures. I would only brave this crap for Barry. Not that it’s all that difficult for him, since he has lived in upstate New York for decades, and besides was born in chilly England, where they breed Oscar winners, rock stars and comic artists. Windsor-Smith is the latter, having arrived on these shores in the Age of Aquarius with a dream. After we, meaning myself, Windsor-Smith and his very nice studio manager Alex Bialy, hydroplane along crystal sidewalks to repair to a lovely French restaurant that is warm and cozy, we replay a few of those early years.